Retirement scares the daylights out of me but the information I received from you is a big help. Thank you for the helpful information. Keep an eye out for the last Countdown post later in November. 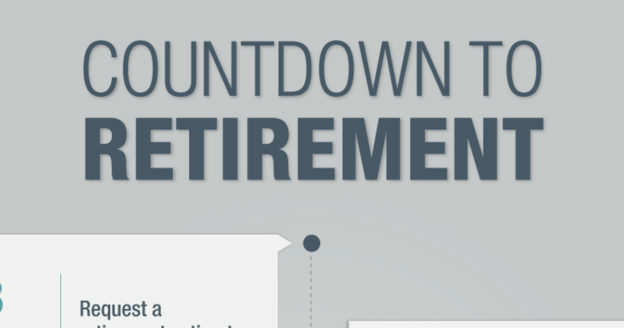 This site says 18 months before retirement, submit a request for retirement estimate. Yet page 2 of the form actually says this form must be filed “not more than 90 days before your retirement can become effective.” Which is correct? You can submit a Request for Estimate form (RS6030) 18 months before your planned retirement date. The Request for Estimate form is not the same as a retirement application form. The language on page 2 is referring to an Application for Service Retirement (RS6037), which you would not submit until you actually file for retirement, 15 – 90 days before you wish to retire. I am about to submit my Request for Estimate form (RS6030). I had service many years ago when I worked for my college library in the state system. But now I cannot remember the exact dates which are asked for on the form. What should I do, is there any way to get that information? You can use a broad range of dates if you don’t know the exact dates of your employment history. We will write to your employer if there is any missing service, and send you the cost (if any) for securing the additional service credit. Providing dates lets us confirm that your service credit history is complete. However, if you’re confident that it is already, you don’t have to compete a Request for Estimate form. Instead, you can use our Benefit Projection Calculator. The calculator provides estimates based on information you enter. By changing each variable (date of retirement, average salary, beneficiary information), you can see the impact it would have on your pension benefit. Or, if you are an ERS member, you can request a benefit projecting by using our automated phone system. Call 1-866-805-0990 and press 3, 1, then 4. ERS and PFRS members can send a request using our secure email form at http://www.emailNYSLRS.com. We’ll need your estimated retirement date, the name and birth date of your intended beneficiary, your current address and your retirement registration number. 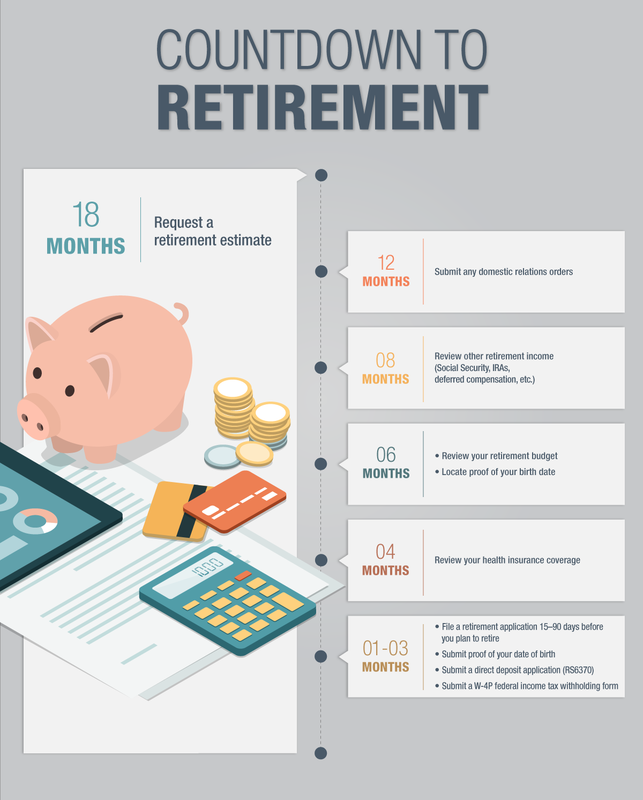 Why is it necessary to request a retirement estimate 18 months out, when all that information is spelled out in the yearly statement that employees receive? It’s not required, however the projection on your Member Annual Statement is an unaudited calculation that uses information we have on file for you as of the end of the fiscal year. If you are thinking of retiring on a different date than the one your MAS projection provides, a new estimate may be helpful. Also, if you aren’t certain you have credit for all of your public service, the estimate form lets you list your public employers and approximate dates of employment. We’ll use this information to make sure your NYSLRS service credit history is correct. I recently received a benefit projection using your automated phone system. It says that my chosen retirement date, which gives me service credit of 30.08 years, “is very close to the date we project you will be credited with 30 years of service. Please note, this is a preliminary determination and you should not use this information to make a decision that will affect your employment status.” THAT SCARES ME!!! I also filled out a RS6030 Request for Estimate form, but have not yet received a response. Will the RS6030 estimate be more definite? Can I use the RS6030 estimate to choose my retirement date for certain? Thanks. We recommend that you email our customer service representatives using our secure email form (http://www.emailNYSLRS.com), and one of our representatives will review your account and respond to your questions. Filling out the secure form allows us to safely contact you about your personal account information.